I have been using a bullet journal planning format for the past couple years. Before that, I felt disorganized, confused, and inefficient. I was also changing planners every few months in search of "planner peace." Does this sound like you? Many planners I tried had lots of features I loved, but didn't hold everything. I still needed supplemental lists, notepads, and notebooks in an attempt to keep everything organized. Since I run a small business, my planner needs have changed over the years. Here's what I currently need in a planner. That's a lot of information. Guess what, now it's ALL in a bullet journal! It's important to ask yourself the following questions so you can create a bullet journal that fits your life and your goals. Let's face it, you want your bujo to be something you go to all the time, so make it something you love picking up every day. What physical requirements does your IDEAL bullet journal have? Does it need tabs or calendars? Pen loop or attached pen case? What needs will your bullet journal fill? What do I like about a Bullet Journal? Switching to a bullet journal meant that my ENTIRE life is now planned in these pages. No more sticky notes, grocery lists, or to-do lists floating everywhere. All of my thoughts, ideas, goals, lists, appointments, and creativity are all in ONE PLACE! If you are new to bullet journaling, you're going to want to start here. My bullet journal gets messy and beautiful at the same time! In addition to an organizational system, I also this book as a creative release. I love to decorate pages with stamps, stickers, washi tape, and colored pencils. I draw cute doodles and have fun with lettering. However since everything goes in here, many pages don't stay perfect. I jot notes, work out equations, brain dump, and write random information. At one point, I had to give myself permission that not being perfect is OKAY. That was a big deal. Before that I had these amazing planners where everything was perfect. I didn't want to mess up a single page and everything needed to fit within the space provided. The days of having a perfect planner gone. My bullet journal holds everything and because life can sometimes be chaotic and messy, so does my bujo! Once I embraced the notion that "everything goes in my bujo and it's not always pretty" my life got SO. MUCH. EASIER. I carry my bullet journal EVERYWHERE I go. I write down thoughts, ideas, goals, plans, lists, and even random chicken-scratch. I love every bit of it. Sometimes I decorate around the mistakes, other times I just let it be. This book has turned in to my creative outlet, my life planner, and my business organizer all-in-one. The following is a list of my favorite bullet journal materials and tools to get you started. Give them a try and let me know what you think! I own all three of the bullet journals shown here. My Leuchtturm is a dot journal. My Moleskine is a grid journal and I also have the Hobonichi Techo Cousin which I use every day. All three are top quality notebooks for bullet journaling and feel great to write in. The Hobonichi is my current favorite because it has yearly, monthly, and weekly calendars in the front. The daily pages I use as a bullet journal. The pages are lightly gridded making it easy to keep things neat. The Tomo River paper is very thin and beautiful to write on. I really love the crinkle of the pages! I like writing in my bullet journal in all black. My current go-to pen is the Uni Power-Tank. Because it is pressurized, you never have to prime the pen; it's always ready to write. It's a bit thicker than standard pens and I love how it fits in the pen loops on my Hobonichi. I also love using Marvy Le Pen markers, Sharpie Pens in Fine and Medium, and Sakura Micron Pens in various sizes (great for doodling)! I mentioned LePen above because I use it in black for drawing and writing. But they also come in lots of other bright, fun colors. They are great if you prefer to color code your journal entries. Mildliners are a my go-to markers. The colors are soft and pretty plus they are dual tipped so you can make thin or thick lines. I've recently started playing around with Tombow Brush pens. These are also dual tipped and come in both vibrant and pastel color packs. These are a favorite to many bullet journalists especially those who love to decorate their planner with drawings. I also love colored pencils! They are perfect for coloring in if you like to doodle in black ink. I keep Crayola colored pencils in my pencil case so I can doodle when I'm out and about. The Prisma colored pencils come in a really nice tin. There are trays inside that keep all the pencils organized. I keep this set in my desk drawer. Let me just start by saying, washi tape is the best thing ever invented! I love shopping for new styles and getting to use them in all of my bullet journals and notebooks. 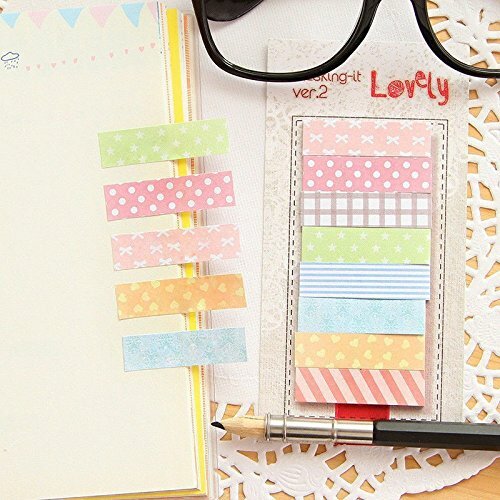 Washi tape is great for making tabs on the side of your notebook, decorating pages, highlighting important dates, and blocking off areas that you need for easy reference. Plus, there are thousands of styles available to suit your personality. 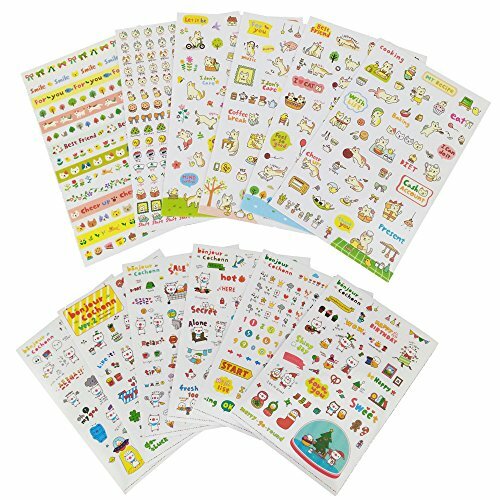 Here are some very cute girly planner stickers from Bloom. 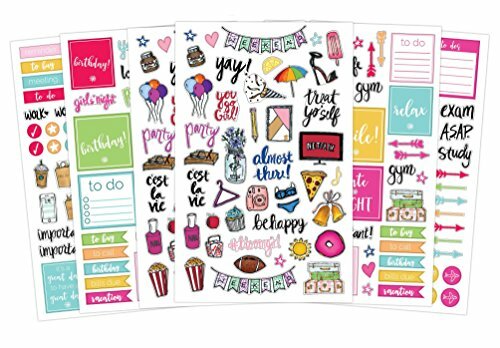 These stickers include motivational phrases, to-boxes, arrows, icons, and cute doodles to spice up your pages. I'm also a sucker for cute Japanese stickers! These Yueton stickers feature a cats and pigs. There are banners, planner icons, and cute stickers to show your mood or daily tasks. 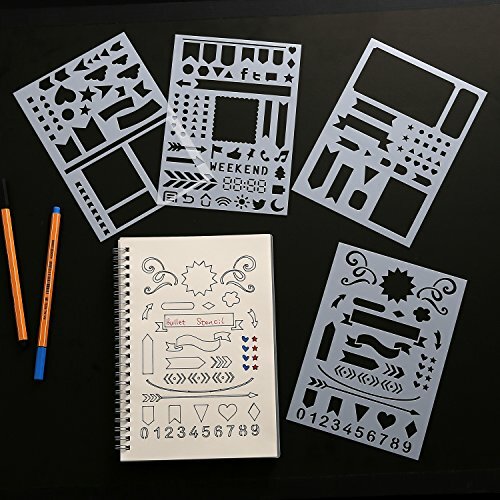 You can stencil your plans! 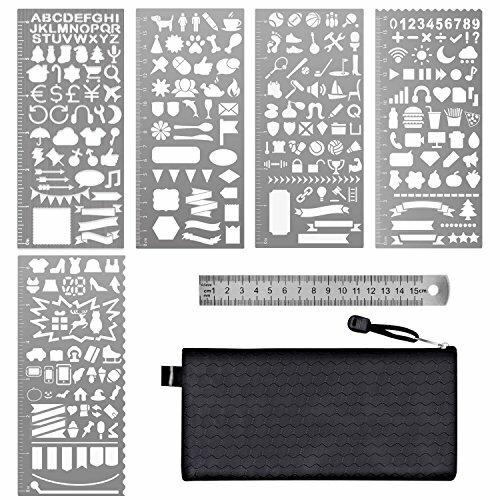 Fun and easy to use planner stencils include banners, arrows, boxes for creating lists, numbers, and tons of icons. I keep four different sheets in my bullet journal so I can use them all every day. I like to call out important pages in my bullet journal so they are easy to find. Page flags are perfect for that! I have them across the top and down the side of my planner so I can locate important info with just a quick flip. Page markers have come a long way! 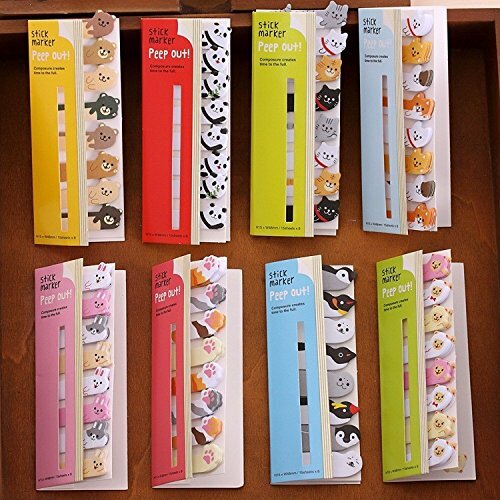 Check out the cute and decorative patterns as well as fun animal markers shown below. These markers are usually moveable making them easy to reuse on other pages. What are your favorite bullet journal supplies? Do use products I didn't mention above? If so, what are they? Leave a message in the comments below!